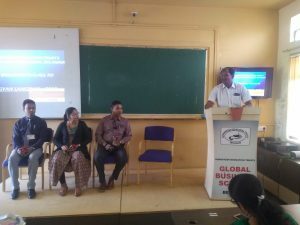 BET’s Global Business School Belgaum organised GYAN SANGRAAM- 2019. This unique event was designed for students to exhibit their knowledge, skills and competencies.There were two competitions in Gyan Sangraam- 2019. 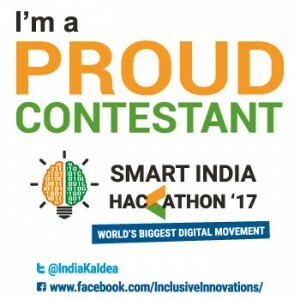 The ‘Analyst’; the paper presentation competition on the theme “India as an Emerging Superpower:The Road Ahead” and the ‘Projectile’; the project presentation competition for BBA students on March 16th2019. Dr. Prasad Daddikar welcomed the gathering. Shri Mahaveer Upadhye, GC member BET GBS was the chief guest of the program. He spoke on critical thinking and its importance in life. Prof. Aftab, Mr. Imran Khan, Prof. Omkar Tilve and Dr. Sonal Revankar were the judges for the event. More than 40 students from various institutions from Belgaum district participated in the event. Dr. Padmapriya R Katagal and Prof. Ranjana Upashi were the event coordinators.